Spotted: Dating: Together on a Date? According to this actor, he is just friends with this actress. Take a look at these photos and tell me what you think. Do you know who they are? Worldbex Services International, in partnership with the ABS-CBN Foundation, brings you this year’s longest and grandest Christmas charity bazaar in Manila, the 11th World Bazaar Festival from December 2 to 18, 2012 at the World Trade Center Manila. Come and experience the longest Christmas bazaar to date with three shopping weekends, all for the benefit of the ABS-CBN Foundation. Drop by and shop from over 600 booths that offer a great selection of products, some of which are courtesy of top Kapamilya stars. Doors open from 12nn to 10pm every Monday to Thursday and 10am until midnight every Friday to Sunday. The event will feature booths from Kapamilya stars Judy Ann Santos, Bea Alonzo, Angelica Panganiban, Gladys Reyes, Empress Schuck, Phoemela Baranda, Donita Rose, Rica Peralejo, Xian Lim, Matteo Guidicelli, Kathleen Hermosa, plus a lot more. These celebrities would be selling a wide variety of products including personal items as well as brand new merchandise. As festive as this season is for every Filipino, things can only get merrier at the 11th World Bazaar Festival courtesy of the Kapamilya network as it would also feature various ABS-CBN show launches, musical shows, fashion shows and a celebrity pavilion. Be sure to drop by the most happening and star-studded place for holiday shopping, the 11th World Bazaar Festival from December 2 to 18, 2011 at the World Trade Center because truly, Da Best Ang Pasko ng Pilipino! Last week, this singer was supposed to be a guest on the show of this television host to promote her upcoming movie. Surprisingly, when the television host found out about this, he immediately got in touch with his executive producer (EP) and told him that the singer is not welcome on his show. Eager to find out as to why the television host dislike the singer so much, the EP decided to do some research. He later found out from someone who is very close to the television host that he took it very personally when the singer had to turn down his invitation to be a guest on his concert. This also explained why the television host refused to give the singer a birthday message when the production team of the variety show requested him to do so. Do you know who this television host is? How about the singer? Please observe the guidelines in writing comments and remember that initials and comments that are too explicit will not be accepted. Follow MicSyLim on Twitter for the latest update on Fashion PULIS. Kindly continue to send your juicy stories and letters to: michaelsylim@gmail.com. Thank you very much for all your love and support! Interviewer: Sino ba ang dahilan? Babae ba o lalaki? Interviewer: Si M (make a wild guess) ba? When the network executive saw the full version of the interview, she specifically ordered this part to be cut. One day, when she came to his flat unannounced, his personal assistant (PA) told her that he was not there. She did not believe the PA so she marched directly to his bedroom. She was shocked when she saw that he and the other guy just came out of the shower. She left the country after witnessing this incident. The two of them are currently in Japan for a show. When he heard that her interview was going to be aired, he immediately changed the line up of his songs. After her controversial interview last night, I have decided to share what I know about the two of them. There are two sides to every story so allow me to share what I know with you. Two years ago, it was she who made the first move despite the fact that she knows that he is bisexual. She believed that his deep faith could change him. She would even accompany him to pray over sessions where his friends from church would be praying for his transformation. Things were going well with them until she became too demanding. She constantly questioned him as to why he gives money to his family members and his church. She competed with his son for his attention when he was here for a vacation. She also demanded for expensive gifts like designers handbags that really shocked his family members because they know that she can afford to buy them. When he could no longer take her attitude and mood swings, he found comfort in the arms of this other guy who previously had an affair with him. She found out about this and she is now using this against him to ruin his career. The network executives tried to stop the airing of her interview but he found out, he told them to let her do what will make her happy. Thank you very much FP for posting this letter. Now that I have presented the other side of the story, I leave it now up to your readers to decide as to whom they choose to believe. 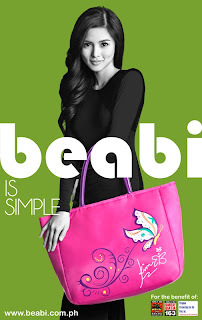 This Christmas, beabi will be giving away 12 beabi bags (6 pink and 6 black) designed by Kim Chiu to 12 lucky Fashion PULIS readers. To join, simply email your name and mobile number to micsylim@gmail.com with beabi as the subject line. Each email address is entitled to one entry. Deadline of submission is on December 12, 2011 at 11:59pm (Manila time). 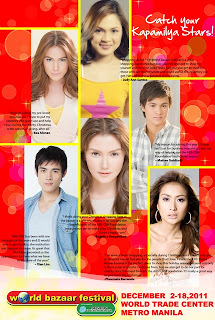 The names of the 12 winners will be posted on Fashion PULIS on or before December 25, 2011. Winners are not allowed to select the color of their bags. They must also pick up their bags from beabi Greenbelt Branch on or before January 25, 2012. For Fashion PULIS readers who are not residing in Manila, you may still join the contest provided that you can assign a representative to pick up the winning bag on your behalf. Is She Really in a New Relationship? This actress repeatedly denied that she was dating another actor from the same network. This could be true because last Wednesday, she was spotted at the gym somewhere in Alabang with the son of a politician. According to the observers at the gym, the two of them were rather sweet to each other. When they were done with their workout, there were even holding each other's hands while walking out of the gym. I guess her new relationship is probably the reason why her former lover has been so emotional lately. I am sure that many of you already know who this actress is, so let me give a clue on the politician's son. Based on what I know, this guy has a brother who separated from his actress wife. Please observe the guidelines in writing comments and remember that initials and comments that are too explicit will not be accepted. Follow MicSyLim on Twitter for the latest update on Fashion PULIS. Kindly continue to send your juicy stories and letters to: michaelsylim@gmail.com. Thank you very much for loving Fashion PULIS. 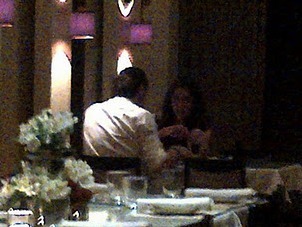 Spotted: Having a Romantic Date? Last week, this actor was spotted in a club located at The Fort Strip with his non-showbiz date. They arrived together and left more than two hours later. I wonder how the actor's girlfriend will react if she sees this photo. I am Camille Chan, an online seller on Facebook. I just wanna share to your readers and spread the word as well that I recently found out a scammer who is posing to be me. The account is very private and you can only add it as a friend on Facebook. The stolen pictures are all in private settings and the scammer is very sneaky. The first time I heard about this was in September 2011, when a certain shopper (has never bought from me) sent me a private message and asked if I am associated with this certain account. I asked her for a link but she could not provide it to me because the scammer blocked her already. I tried searching for Regina Laput, the name that the shopper gave me, in google but nothing showed up. Last night, I tried to search for the gcash number that this lady was using and I found out that Regina Laput is included in the list of scammers for research and cross reference purposes. I search for this poser's account everyday and I only found out about her when she mistakenly added a shopper who has bought from me before. This certain shopper was kind enough to send me the link. For the past few days I have been messaging shoppers who have been inquiring from the scammer's account. Whenever the shopper who sent me the link sees someone inquiring, she immediately sends me his/her link so I can inform him/her that the account is a fake. Lastly, I found out yesterday that the scammer does not go by the name of Regina Laput anymore. Her new account name is Pia Salamat. Thanks you very much Fashion Pulis. This are all the pieces of information that I have gathered for the past 72 hours. I already spread the word thru Facebook regarding the seller's pages but unfortunately it is not enough since someone told me that some shoppers are still buying from that account. Before any of you say that online shopping is not safe, I just wanna emphasize that you just have to be wise. 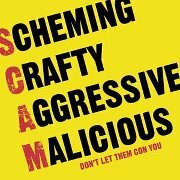 If a seller does not have any feedback from at least 10 buyers, or if he/she does not update from time to time, chances are, he or she is a scammer. Is the boyfriend of this certain actress secretly pursuing this heiress? I think they are perfect for each other. I just do not know how the girlfriend will react if she finds out about this. Please watch the reaction of this cute lawyer and tell me what you think? I will be waiting. I am a loyal subscriber of this telecommunication company for a long time. I am writing to you to share my frustration regarding the company's loyalty program. A customer service representative (CSR) called me last November 17, 2011 to inform me that my application to avail the iphone4g 32gb (3 years lock in with cash out around less than 3k) has been approved. The CSR even asked me as to which color I prefer, I told him it does not matter as long as I get the phone. Five days later (November 22, 2011), I received a call from another CSR informing me that starting today, the iphone4g will no longer be available for the company's loyalty program. I freaked out when I heard this. I told them that they already made a commitment to me five days ago and that the company should honor it and give the phone to me. I would understand if the CSR told me that there is no stock as of the moment and I just have to wait a little longer to get the phone. But no, he kept saying "I am very sorry" and "I understand your frustration Ma'am" because there was nothing he can do. This is just so frustrating because a verbal agreement was made five days ago prior to the changes in the loyalty program and it is just so unfair that the company is not going to honor what has been promised. Thank you FP for allowing to share my disappointments. I just needed to vent out my frustration with the telecommunications company. This athlete once offered his nine inch shaft to a certain sponsor in exchange for a Blackberry 9900. The sponsor was very eager to see if it was really nine inches long so he accepted the offer. When he finally got to see it, he was extremely surprised! According to him, it was so huge he had to remove his dentures. Do you know who this athlete is? Please observe the guidelines in writing comments. Keep in mind that initials and comments that are too explicit will not be accepted. Follow MicSyLim on Twitter for the latest update on Fashion PULIS. Kindly continue to send your juicy stories and letters to: michaelsylim@gmail.com. Thank you very much for all your love and support. 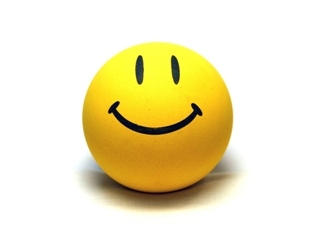 Letter From a Reader: Thanks to the Doctor, I Lost My Smile! I would like to share with you and your readers my horrible experience with a dentist in one of the upscale malls in Ortigas. On July 8 of this year, I went to the clinic to have my wisdom teeth extracted. Since this was supposedly a routine extraction, I didn’t go to my family dentist anymore. After the operation, my jaws were numb. Thinking it was due to the anesthesia, I toughed it out. A week went by and still I couldn’t feel anything. When it was time to go back to take out the sutures, I mentioned to the dentist that I still have no feeling on my lower jaw. That’s when he broke the news to me. He said that in some cases, nerves are damaged thus, the loss of feeling on the affected area. I couldn’t believe he was only informing me of that possibility that moment. The thing was, they claim to be world class; they use state of the art facilities yet, they didn’t see that it was too deep to touch? It has been more than four months now and I still have no feeling on my lower jaw. It’s been very challenging since it’s weird not to have a feeling on one or some parts of my face. Who knows what other effects this might bring about in the future? I have consulted other dentists and everyone said it might never heal. 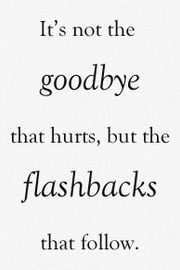 If it does, it will never be the same as it was before. They were all surprised that the dentist did not inform me of the possible effects or that he treated the operation the way he did knowing the kind of depth where my wisdom teeth were might result to the loss of feeling on my jaws. I hope others can learn a thing or two from my experience. Aside from the background check one must do on any surgeon, research on their works, as well. Ask all the questions you might have and ask to be informed of worst case scenarios so you can decide if you want to push through with the procedure or not. More power to you, FP! And thank you for being an effective vehicle to inform the public of what is really out there. The Winners for the Laneige Contest are . 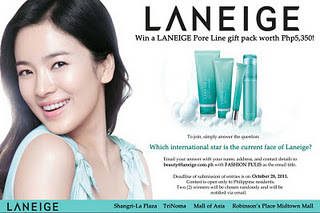 . .
You will receive an email from Laneige as to how you can claim your prizes. Congratulations! This actor and this actress recently had a show in the West Coast that did not do well at all. After the show, the actress left immediately while the actor opted to stay for a few more days. The actor did not tell the actress that he was staying behind because he was going to meet up with the singer who was also there for a show. Upon the departure of the actress, the actor met up with the singer in the hotel where he was staying. A few days later, they took separate flights and met up somewhere where they spent some quality time together. Do you who this actor is? How about the singer and the actress? Please observe the guidelines in writing comments. Keep in mind that initials and comments that are too explicit will not be accepted. When I opened this box of cereals that I bought from this supermarket located somewhere in Quezon City, I was surprised to see insects inside it. This was not actually the first time it happened to me. 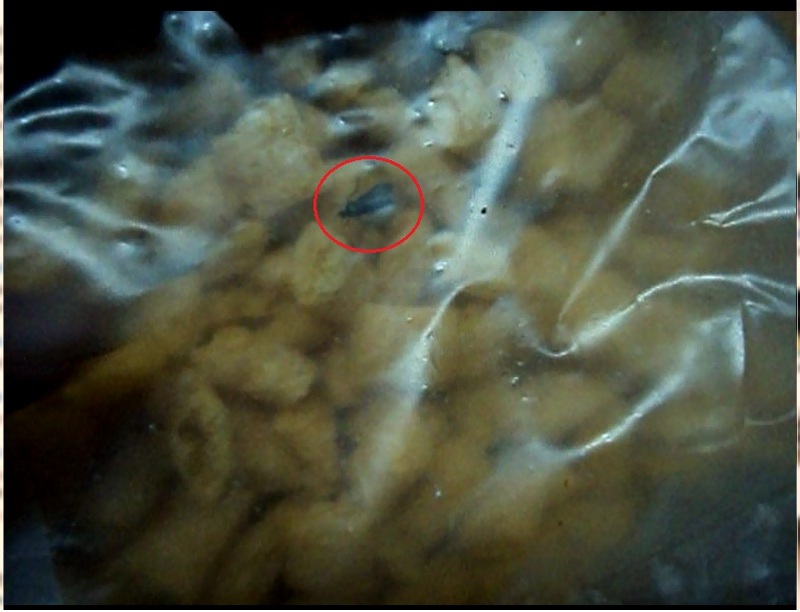 In both cases, it involved the same brand of cereals. The first time this happened to me, I immediately returned the box of cereals to the supermarket and was issued a credit receipt. I wanted to speak to the manager but the customer service representative told me that he was busy at that moment. To prove my point, I opened the box of cereals in front of her and when she saw the insects coming out of the box, she was not surprised at all. I even informed her that I went to check the shelves and saw that there were other boxes with the same problem but she did not seem to mind at all. A few months later, the same incident happened to me. This time around, I insisted to speak to the manager. In an attempt to prove that my case was perhaps an isolated one, the manager instructed one of his staff to get a new box of cereals from the shelves. When he opened it in front of me, he was horrified when he saw the insects crawling out of the box. To save his face, he immediately ordered his staff to pull out this brand of cereals from the shelves. The manager apologized to me and gave me a credit receipt. He said that was the best he could do. I understood what he meant so I just requested him to give me the email addresses of the supermarket management and the company that produced the said cereal. I sent them emails months ago and until now, I have not heard a word from any one of them. Thank you FP for posting my letter. I just want to warn your readers to be more careful with the things that put in their shopping cart. Last night, I spotted this celebrity on date with a old foreigner guy at Kai Japanese Restaurant in Greenbelt. If you take a good look at the second picture, you will see the foreigner kissing the model on the lips. I guess this model enjoys dating foreigners who are way older than she because last year, she was photographed frolicking on a yacht with her high profile date who was twice her age. Do you know who she is? 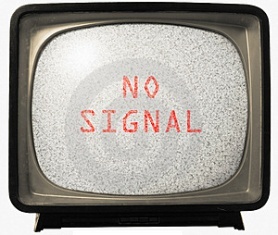 Letter From a Reader: Still No Signal! I would like share my bad experience with this certain cable company. Last May, when I was at the mall, the sales people of this cable company convinced me to sign up with them. Upon completing the application for our rest house in Tagaytay, I immediately settled the installation fee. A few days later, the crew came to my rest house in Tagaytay and asked for the installation payment from my dad who was there at that time. Since my dad did not know I already paid for it previously, he paid them again. Moving forward, when my parents went to the rest house the following weekend and noticed that the cable was still not working. When my parents told me about this, I immediately called to company's Cavite office to check on the status. I was able to talk with a Miss EM and she advised me that I still have to submit some documents to complete the application. I took note of her instructions and and submitted the necessary requirements. A week later when I was at the rest house, I was shocked that there was still NO SIGNAL. When I did a follow up, I was advised again to send the documents that I already submitted. This has become so frustrating. We paid for the installation fee twice and we have repeatedly submitted the documents that they are asking from us. Every time I call them, they passed me around to different agents for the past 5 months and honestly none of them could help me solve this problem. Thank you for posting my letter. More power to you. My mother got this deal a few weeks ago on line in time for my brother's birthday. From the ordering to the reserving of the cake, it turned out to be a major disappointment. The cake company was so hard to contact and the staff won't even reply to our texts messages. It was even worse when we picked up the cake. It was so ugly and it looked so different from the photo that was advertised online. My 11-year-old brother, who is a big crybaby , was really upset when he saw his cake. We also ordered the cake pops which were sticking to the plastic. The sticks came off and we had to place them on top of another cake. I tried one and it tasted like uncooked cake dough. I hope this serves as a warning to the people who also got this deal. Please be more cautious in availing promos because pictures can really be deceiving. Thank you very much FP! God bless. Do you remember my post last Tuesday about this actress who managed to date two men simultaneously? It was a story about this wealthy businessman who left this actress after he discovered that she was two-timing him. Well, after the wealthy businessman recovered from his heartbreak, his friend who works for the network introduced him to another actress. On his first date with this actress, he wasted no time and asked her about this certain actor who was being linked to her. When the actress heard this question, she laughed so hard and told him that the actor he was referring is not interested with her because he has other preferences. Since then, the wealthy businessman and this actress have been dating each other for a few months now. Recently, he gave her a one carat diamond ring and even brought her shopping abroad. I am sure that the two-timing actress will be very envious if she hears about this. Do you who this actress is? Please observe the guidelines in writing comments. Keep in mind that initials and comments that are too explicit will not be accepted. Follow MicSyLim on Twitter for the latest update on Fashion PULIS. Kindly continue to send your juicy stories and letters to: michaelsylim@gmail.com. Thank you very much for the 9,000,000 page views! I would like to share my frustration with this certain hospital. My 6 month old daughter has been vomiting for 2 days and upon the advice of her pediatrician, we brought her to the emergency room of certain hospital for blood test. Our problem started the moment we stepped in emergency room. We waited for more than an hour for a blood test procedure that could have been over in a few minutes. I approached the staff from time to time to follow up if someone was already available to do the procedure but everyone was just too busy. When I asked the nurses as to why it is taking them so long, they repeatedly told me that there was only one medical technician on duty. I understand that it was a Sunday, but there were more than 50 patients in the pedia section alone. How could they afford to have only one person taking blood from all these patients? After waiting for more than an hour, we eventually got fed up and demanded to be released from this hospital. When we arrived in this newly built hospital in the neighboring city, the staff immediately attended to my daughter and gave her all the necessary tests. Fashion PULIS, I am writing to you so that you readers will know better not to go to the first hospital that we went to in case of emergency. If they do so, they will have to wait in line before they get the proper medical attention. Thank you very much. More power to FP! This actor (in light colored shirt) was spotted somewhere in Greenhills with a good looking non showbiz guy (in dark colored shirt) last Sunday. While walking to the venue, one of them was walking a few meters in front of the other so as not to attract attention. Is it possible that the two of them were dating? In an attempt to appease his wife, the husband suggested that they renew their wedding vows the day before the event. In fact, a pastor was already on standby in the living room of the suite, ready to conduct the ceremony but the wife refused. 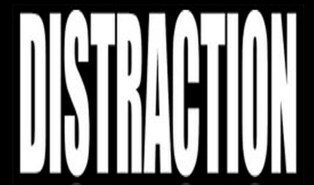 When things became heated between the husband and the wife, the conditioning coach intervened and advised the husband to just focus on the upcoming event. This was when the husband lost his temper and threw his mobile phone that broke the glass in the room. After the broken glass incident, the husband calmed down and asked for forgiveness. He promised his wife that he will stop seeing the mother of the baby. He requested her though to leave the baby alone because he is innocent. I am a customer of this aesthetic center for quite some time. I have friends who have worked there and I have also tried their treatments. Definitely, there are no problem with their treatments. They can be really effective provided that you stick to what they ask you to do (i.e. right diet, and lifestyle). There are times however when the treatments prescribed to you would no longer work because your body has been so used to them. Once this happens, they then start selling newer, more expensive treatments. I have no issues with spending money for my beautification but I felt very bad since I discovered that this the unethical practices of this center. From time to time, this center has sales promotion that tricks you into buying a big bulk of treatments. Sometimes they ask you to buy in bundles. They promise you that they have a tracker system so that you would know how many treatments you have consumed. However, one time I was surprised when my beauty consultant informed me that that my treatments were almost used up. I know for a fact hat I have only consumed half of the treatments that I bought since I also have my own record. When I told her about this, she insisted that she was right and I was wrong. She showed me her "tracker" and started pushing this "new" product that they have. 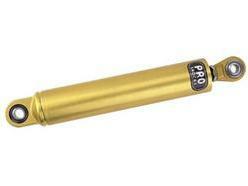 She told me that this "new" product could help me better with my problem areas. I was shocked with how she could lie straight to my face so I did my own investigation. Apparently, I found out from friends who work in the center that they give out the clients' treatments as free treatments to walk-in clients. Everyone who has signed up with this center knows that they have a free treatment at the start, but beware, these treatments where paid for by the other clients. I work hard for my money and I believe I deserve to get the treatment I paid for. I believe it is my own choice if I want to give them away or not. Another thing that I found out is that they short-change your treatment time. Instead of the 45 minute treatment, they sometimes cut down the time to 30 minutes instead. You can tell if a therapist is new because is she is new, the treatment time is normally longer. I am writing to you because I had enough. I complained to them but they kept insisting that they are right and I am wrong that why I want to warn your readers who go to this center. Whether you're very rich, or just the regular office worker who saved enough just so you could avail of treatments, no one is safe. Thank you for publishing this letter. I will have to remain anonymous because I do not want to jeopardize the people who helped me secured this information. 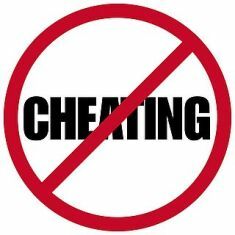 I hope they realize that we all have bills to pay and any form of cheating is not right. Sales is a dirty business, but at the end of the day, we should at least stay true to our values. Do you remember the controversial Christening that was all over the news a few weeks ago? According to a reliable source, it was a relative of the baby's mother who informed the wife about this. This relative even opted for cash instead of the expensive bag that the wife was initially offering as the reward. After receiving this piece of information, the wife decided to hire private investigators. She later discovered from them that her husband and the baby's mother have already been together for more than two years. He also built a house for the baby's mother somewhere near his place of work so that it will be more convenient for him. The wife was even more upset when she learned that her husband used his personal check to pay for the baby's baptism. Apart from the baby's mother, she also found out from the private investigators that her husband is also seeing two other women. One of them is this girl from the province who also has a child with her husband. The other is this certain starlet who also received a new house from her husband as a gift. The wife was very disturbed when she received these pieces of information. Initially, she did not want to attend her husband's event anymore but her friends talked her out of it. In fact, instead of staying in her husband's suite, she opted to share a room with some friends. She even told these friends that will not file for an annulment yet because she has to make sure that her children's future is secured. Many friends of the family have observed that the wife has been extra cold to the husband lately. They even had an argument the day before the event. Could this be one of the reasons why the husband was distracted during the event? What do you think? Looks can really be deceiving. When this innocent looking actress started dating this certain actor earlier this year, many did not know that she was also dating a wealthy businessman on the side. After showering her with expensive gifts, the businessman was surprised one day when he heard on the news that she was also dating this certain actor. He tried to confront her but she kept denying it so the two continued dating for a few more months. 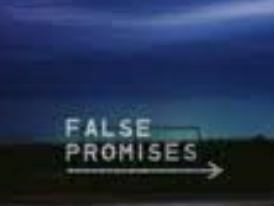 Ever since the news about the actress and the actor broke, the entrepreneur became less trusting and more vigilant. When he was finally able to prove that the actress managed to date the two of them simultaneously, he left her immediately. True enough; a few months later, the actress admitted on national television that she is in a relationship with the actor. When it comes to your eyes, don’t settle for anything less. For something as sensitive as your eyes, one of the leading eye care clinics in the Philippines, American Eye Center, has the right combination of expertise and technology to make sure you start seeing things in a whole new and wonderful light. American Eye Center offers All Laser or Bladeless LASIK surgery via the Wavelight Refractive Suite, the most advanced technology in the world for treating nearsightedness, farsightedness and astigmatism. The clinic is the first in the country to offering this kind of technology. The Wavelight Refractive Suite is known as the world’s fastest refractive platform. 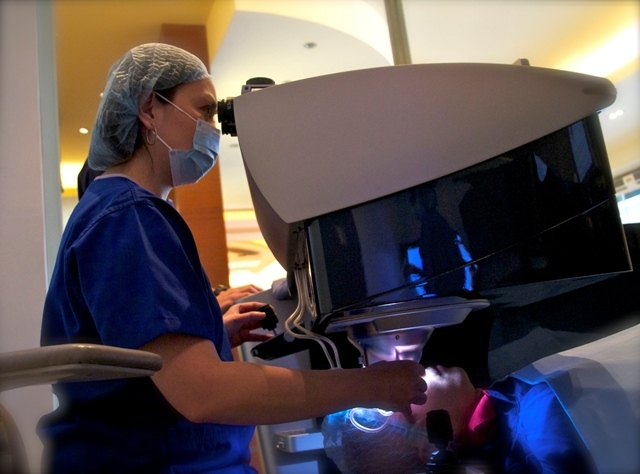 It combines two of the most advanced lasers currently available for performing LASIK surgery. These are the WaveLight FS200 femtosecond laser, which makes the flap that prepares the eye for the actual laser treatment, and the WaveLight EX500 excimer laser that essentially reshapes the corneal stroma to remove the grade or error of refraction. With the femtosecond laser, one is assured of complete safety, reliability, and control when the flap is created, without the use of any mechanical instrument and blades. Combined with the fastest excimer laser in the market, operating at 1.4 seconds per diopter of treatment, the Wavelight Refractive Suite can also perform a wide range of customized treatments. This new technology brings an unprecedented level of safety and precision. It allows surgeons to provide consistently excellent refractive and visual results when performing laser vision correction. For patients, it also speeds up the process considerably and allows for more rapid visual recovery. The entire procedure is done in less than 20 minutes. Technologies such as this have allowed American Eye Center to constantly break new ground when it comes to ophthalmic care. Since its establishment in 1995, the company has been pioneering many of the globally accepted treatments now widely being used locally. American Eye Center’s level of excellence is backed by the Associated Eye Specialists, the most experienced and longest-running EyeMD group practice in the country. This group is composed of 17 doctors with various subspecialties ranging from refractive surgery, vision rehabilitation, and treatment of external eye diseases to corneal surgery, pediatric ophthalmology, glaucoma and cataract, and many other areas. The center is also staffed with highly qualified optometrists, nurses and counselors to provide patients with personalized quality eye care. AEC is accredited with the Department of Health and the Philippine Health Insurance Corporation. They have fully equipped branches located at the Level 5, EDSA Shangri-La Plaza, and at the Level 4 of Greenbelt 5, Makati City. 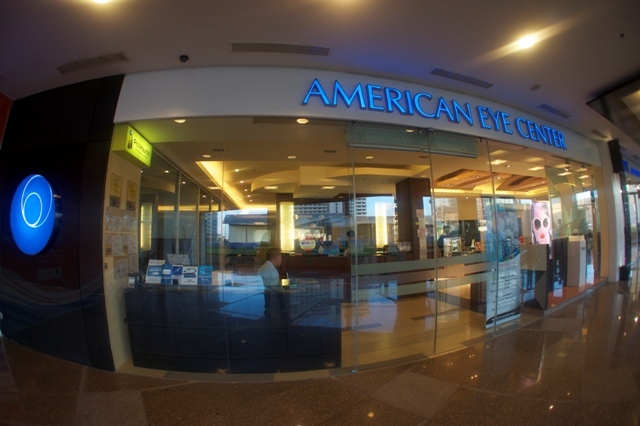 For inquiries, call +632-6360762 or 729-EYES (3937) or email info@americaneye.com.ph. You may visit www.americaneye.com.ph, follow @eyetweets on Twitter, and “like our account” in Facebook. FP: I am confused. I remember I registered for BB Max (for 30 days) a few days ago, how come I am receiving a message informing me that my BB Max subscription has expired. 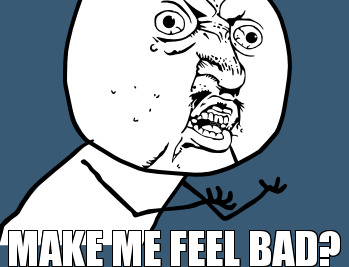 PLATINUM HOTLINE CSR: Sir, upon retrieving your records, your BB Max (for 5 days) has expired. FP: Ha, but I registered for BB Max (for 30 days)? CSR: Sir, according to your records, you did request for BB Max (for 30 days) but the CSR activated BB Max (for 5 days). FP: What do we do now? CSR: We have to register your BB Max (for 30 days) again. FP: Does this mean that I have to wait for another 24 hours before I get my BB service back? CSR: More or less sir. FP: Does this also mean that I have to pay for the BB Max (for 5 days) even if I requested for BB Max (for 30 days)? FP: Why should I pay for the mistake of your CSR? CSR: There is nothing we can do as of now. My suggestion is for you to wait for your bill and call us back and complain if you already see the BB Max (for 5 days) posted in your bill. FP: Can't you just help me monitor it please since I am already speaking with you? NOTE: I just posted the gist of our conversation, not the exact words of FP and CSR. Please share your I Hate Globe experience. I would love to hear from you. This local actress was so star struck with this certain foreign actor when she had dinner with him and his entourage. She was so excited she kept taking photos of the two them using her camera phone. When she was finally over it, she suggested to the foreign actor that he should also take pictures of them using his camera phone so he can show it off to his friends. The poor foreign actor did not know how to react to the actress' suggestion. He did not want to offend the actress so he just smiled at her and pretended that he did not hear what she said. The actress was sensitive enough though to pick up the non-verbal message of the foreign actor. Since she felt bad with the foreign actors' lack of enthusiasm towards her, she suddenly forgot her etiquette and murmured something about the foreign actor in Tagalog to the person seated next to her. Do you who this actress is? How about the foreign actor? Please observe the guidelines in writing comments. Keep in mind that initials and comments that are too explicit will not be accepted. this coming Monday, Nov 14, 8-9 pm on ETC. I wonder why this actor still denies having a romantic relationship with this actress from another network. Last Thursday night, a Fashion PULIS reader spotted this actor and this actress at Il Ponticello Restaurant and Bar in Makati. That night, their public display of affection was in full swing as they could not keep their eyes off each other. They also did not seem to mind the other people around when they were hugging and passionately kissing each other. Could this be the result of having too much alcohol? Do you who this actor is? How about the actress? Please observe the guidelines in writing comments. Keep in mind that initials and comments that are too explicit will not be accepted. This television host recently paid for the round trip airfare plus the board and lodging of an entire collegiate varsity team. When this said team was invited to participate in an invitational league in one of the provinces, the star player approached the television host and requested him to shoulder the expenses of the entire team. Since the television host is head over heels in love with this player, he said yes to him without even thinking twice about it. The over-the-top spending habit of this television host is worrying some of his friends, specially his female friend who does not like poor friends. Sponsoring an entire basketball team is just the tip of the iceberg. She worries that he gives very generous gifts to his hot dates. She is also disturbed that he tries to live up to the expensive lifestyles of his other showbiz friends. Do you know who this television host is? Please observe the guidelines in writing comments. Keep in mind that initials and comments that are too explicit will not be accepted. This actor forgets that there are people around him whenever he gets drunk. One time at a bar somewhere in Makati, a group of friends from the same network waved at this actor and invited him to go to their table. It was so obvious that he had too much to drunk because he could hardly recognize who these friends were. The drunken actor approached the table holding a shot of tequila in one hand and a bottle of Cuervo in the other. When he opened his mouth, the eternal smell of alcohol on his breath was just unbearable. He was slurring his words while gesturing enthusiastically at the same time. 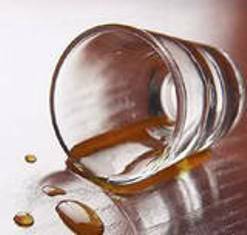 He was so drunk he spilled the shot of tequila that he was holding over the head of one of the ladies seated around the table. The other friends at the table were shocked when they witnessed this incident. They were even more startled when the actor walked away without apologizing because getting drunk is not a just cause for someone to be ill-mannered. Do you know who this drunken actor is? Please observe the guidelines in writing comments. Keep in mind that initials and comments that are too explicit will not be accepted. When this actress was the celebrity endorser of this certain retail brand, she would pass by the store from time to time to check out the latest items on display. Whenever something in the store catches her eye, she calls the owner right there and then and asks for it. One time, she fell in love with this bag that was rather expensive so she rang the owner immediately and asked if she could have one in every color. The owner tried to explain to her that there are only less than twenty pieces in inventory but she could not care less. She still insisted on what she wanted. The owner gave in to her request but her endorsement contract was never renewed when it expired. Do you know who this actress is? Please observe the guidelines in writing comments. Keep in mind that initials and comments that are too explicit will not be accepted. 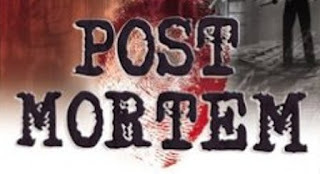 The wife of this veteran actor recently found out about her husband's extra marital affair with this certain girl from the south that has been ongoing for quite some time. The actor initially denied vehemently when his wife confronted him about this. 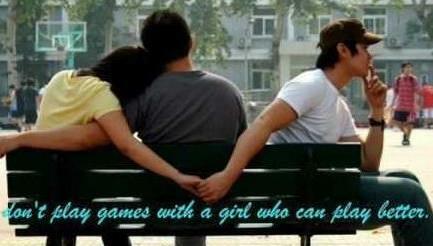 However, when he knew that he had no way out; he eventually had to confess to his cheating. Since the actor refused to leave the house, the wife decided to move out instead. The actor was very depressed when this happened because he knew that this could ruin his reputation. He finally decided to leave girl and did everything possible to win his wife back. He wooed her back by making her believe that he never really loved the girl to begin with. At present, the wife is back in their house and the actor has been extra nice to her. He made a promise to her that he will never cheat on her again. Do you know who this actor is? Did his wife read out about his extra marital affair on Fashion PULIS a few months ago? Let me just remind the husband never to cheat again because this normally leads to divorce. Please observe the guidelines in writing comments. Keep in mind that initials and comments that are too explicit will not be accepted. 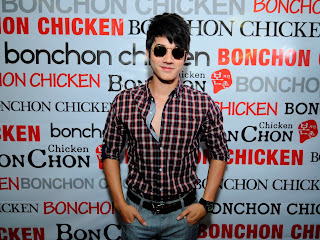 Korea’s most famous chicken brand BONCHON – a cult favorite in the US and the world over has formally opened in the Philippines with no less than Thai superstar MARIO MAURER gracing the event. The Thai superstar, popular for the teenage romantic flick Crazy Little Thing Called Love, flew in to the country for the first time recently to do a series of engagements including signing a movie deal with Star Cinema and appearing in a Fan Conference at the PICC with thousands of screaming fans in attendance. BONCHON is known worldwide for its extremely addicting chicken – created from a secret recipe -- unlike any other: crispy, light, with hot juicy meat flavored with your choice of soy garlic or the hot and spicy glaze. 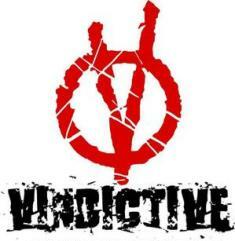 It’s the ORIGINAL highly addicting formula that keeps people coming back for more. BONCHON celebrates a supremely successful first year by formally launching in the Philippines and opening its tenth store with the charismatic Thai heartthrob trying out some of their delicious offerings such as fish tacos, bulgogi rice, the best chicken sandwich in town, chapchae (Korean noodles), and the hugely popular soy garlic chicken wings. Was She Just Purely Being Very Generous? This actor started sending friendly messages to this certain female celebrity after he found out that she has a crush on him. His being extra friendly to her made her grow more fond of him. When he finally got the chance to meet her in person, he was surprised when she handed him an overly generous seven-digit monetary gift. Do you know who this actor is? How about the female celebrity? 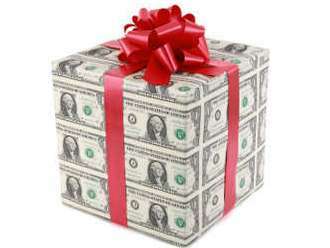 Do you think that the female celebrity was just purely being very generous to the actor when she gave him the monetary gift? Don't ask me because your guess is as good as mine. 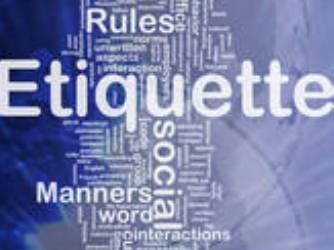 Due to the sensitivity of this post, I would like to request you to observe the guidelines in writing comments. Please keep in mind that initials and comments that are too explicit will not be accepted. Follow MicSyLim on Twitter for the latest update on Fashion PULIS. Kindly continue to send your juicy stories and letters to: michaelsylim@gmail.com. Thank you very much for all your support! Are you looking for a great place where you can enjoy shopping for innovative fashion fashion, arts and crafts and great-tasting food? 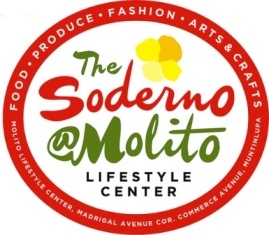 Then come to Soderno@Molito Lifestyle Center – Your newest weekend food and lifestyle market in the South! From the same organizers that brought you the successful Mercato Centrale@Bonifacio Global City, Soderno@Molito Lifestyle Center is a destination weekend day and night lifestyle market where the whole family can enjoy the best that the South of Manila has to offer. Soderno open its doors to the public on November 18 (Friday) at 6pm and will be open every Friday and Saturday night (6pm-3am) and every Saturday and Sunday (7am-4pm). Fashion. Innovative fashion finds and accessories from new and emerging designers. Soderno is located at the Molito Lifestyle Center, at the corners of Alabang Zapote Road, Madrigal Avenue and Commerce Avenue (in front of Alabang Town Center and Ayala Alabang Village). If you are a fashion designer/entrepreneur, an arts/crafts vendor/supplier or artist, a cook/chef/baker or food supplier/entrepreneur or an organic/all-natural fruit/vegetable food and/or product supplier/entrepreneur and are interested to be apply as vendor-partner, please email us at admin@soderno.com or text 09178401152. For more information, please visit www.soderno.com or visit www.facebook.com/soderno or www.twitter.com/soderno. Present Relationship Affected by the Past? Is it true that the relationship of this celebrity couple is on the rocks? According to a source, the husband is undergoing psychological counselling because he had a past relationship with a man before he got married. Apparently, the relationship ended without proper closure and this is why he still hurting up to the present. If this were true, I hope he heals as soon as possible and realizes that he is so lucky to have a beautiful family. 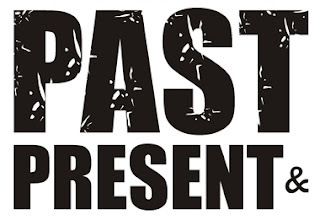 He should really not allow his present relationship to be affected by the past. Do you know who he is? Due to the sensitivity of this blind item, I would like to request you to observe the guidelines in posting comments. Please keep in mind that initials and comments that are too explicit will not be accepted. Poll: Are They One and The Same? The Kid is Her Love Child?